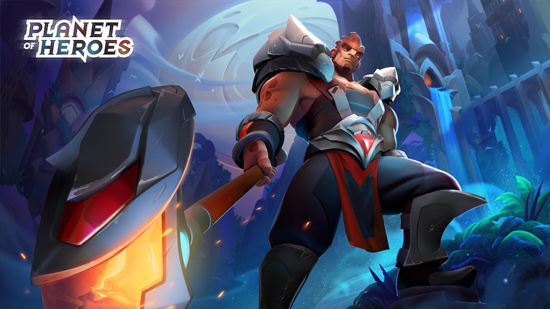 The brand-new update greatly enhances its mobile MOBA experience with the addition of two all-new heroes, an expanded jungle-themed arena and a host of optimization and gameplay improvements for its combat and meta game. This super-sized update is available today for all players on iOS and Android devices worldwide! Battle Arena looks better than ever with a huge expansion of the jungle zone. The new jungle is a mysterious place filled with new dangers and opportunities for both solo players and whole teams to discover. Besides many power-ups and loads of creeps to kill for experience, the new Jungle provides even more objective-based tactics. Next to the familiar Archon, the addition of the mercenary and the brood mother provide even more tactical advantages to overpower rivaling teams. Each of the new additions can provide a huge advantage in battle, so choosing the right one can potentially help teams turn the tide of the game from even the bleakest situations. Enchanting heroes in update 2.0 is more fluid and flexible than ever before. Hero customization has been improved to provide more choices to each hero’s performance with the introduction of Sparks, active and passive skills that can be used to enhance basic stats of any hero in combat. Dozens of different sparks are available to pick so there is always a way to counter enemy teams depending on the situation on the Arena. This adds a whole new layer of progression into the game, allowing players to be more flexible in combat. Two new heroes have been added in game with Update 2.0 to offer even more diversity and fun in battle. Khan'ley, a strong bruiser capable of dealing tons of damage, and Eizo, a nimble support with a unique ability to revive fallen heroes, both make their PoH debut. Both heroes are high-risk, high-reward type of characters, so players who can maximize their strengths will find ways to carry their team to victory. 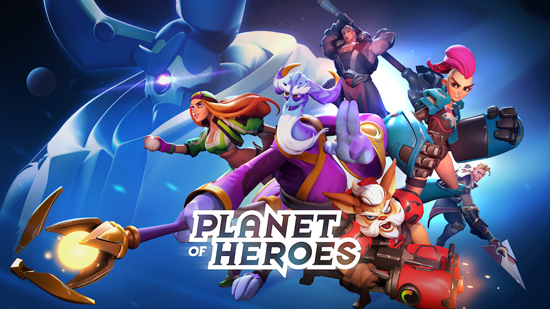 Planet of Heroes redefines action on mobile as MOBA that aims to capture the essence of what makes the genre great on PC, while playing to the strengths of mobile platforms. Planet of Heroes makes the most of the mobile experience, allowing for competitive head-to-head online play. Game controls are tailored to make the most of mobile devices, allowing to play anywhere at any time, eschewing awkward gestures and control layouts in favor of friendly, easy-to-grasp control schemes.